The U.S. Centers for Disease Control and Prevention report an outbreak of norovirus on the "Zaandam" in Alaska. 73 people have reported getting sick on the ship, which is carrying more than 2,000 passengers and crew and was in Juneau on June 22, 2018. The ship was expected to make additional stops in Alaska before returning to Seattle on July 2. 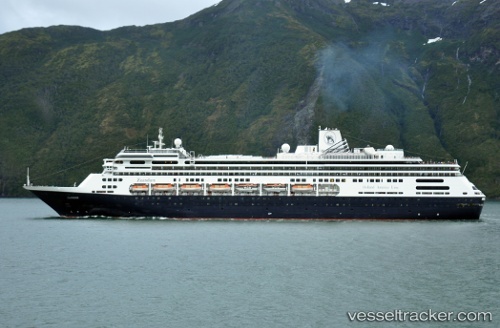 On Jan. 4, Holland America said its ms Zaandam was able to help seven Polish nationals on a sailing yacht that went aground at King George Island in Antarctica. The crew members will be taken to Buenos Aires, Argentina.